Regular visitors to this site will know that I always get a big, old 10 out whenever The Telescopes release a new record. Having got one out in July for the transcendent As Light Return, I wasn’t expecting to be reaching into my number bag so soon. But, Stephen Lawrie (and Stephen Lawrie alone – he wrote, produced, arranged and performed the whole album) has returned with Stone Tape, a concept album inspired by T.C. Lethbridge’s Stone Tape Theory. The idea being that ‘inanimate materials can absorb energy from living beings, and that this mental electrical energy, released during emotional or traumatic events, could somehow be ‘stored’ in such materials and ‘replayed’ under certain conditions’. The sound palette on Stone Tape is different to what The Telescopes normally do. Lawrie mainly uses acoustic instruments and keyboards. However, from the very start of Become The Sun, it is clearly still the work of the same man. A strummed acoustic guitar, a slow beat, an organ drone and some weird noises give the impression (and you will have to forgive the memories this word throws up) of The Telescopes Unplugged. Another drone begins The Speaking Stones. As usual, Lawrie’s voice is buried in the mix, often with instruments that inhabit the same tonal area. This gives The Telescopes’ songs a warm, unified feeling, even when they’re making a terrible racket. Their drones and noise pieces are never harsh, always inclusive. The Desert In Your Heart is more of a conventional song, built around a descending chord pattern played on guitar and keyboard. Lawrie’s melody follows the changes downwards. Gentle feedback starts Everything Must Be before ghostly piano chords start to form a song. Lawrie’s low whisper is just about intelligible – the lyrics are the title. This is closer to the quieter more sedate side of Post-Rock. Silent Water begins with another gentle, descending chord sequence and has a longer lyric where the protagonist is ‘Tired of waking up, tired of breathing. Tired of suffocating, tired of sleeping.’ A tremolo sound and a shaker keep time. The final song, Dead Inside, again matches acoustic guitar with an organ drone. This time, a strong, two-note bass-line keeps the time – like a gentle version of Loop’s Collision. 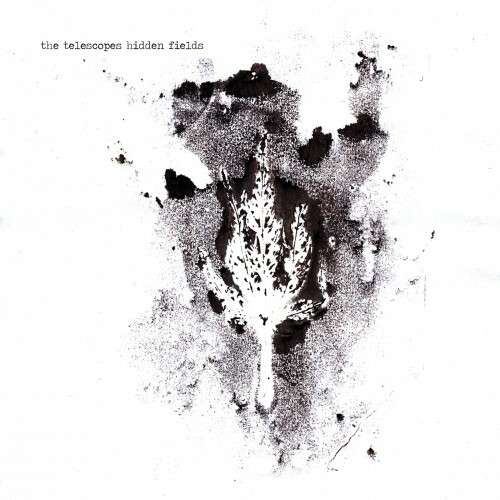 On Stone Tape, Stephen Lawrie manages to create a similar ambient, droning noise as on the The Telescopes’ previous albums but with much more subdued instrumentation. It is testimony to his understanding of this type of music (I don’t know if I should call it anything other than Telescopes Music, maybe Esoteric Noise-Drone) that he can get the same effects from entirely different sets of instruments. He also delivers a coherent and focussed concept album by mixing drones with chord progressions, lyrically-dense songs with more concise ones. Ten albums into his career, Lawrie has long known how to structure an album so it flows to the end. It’s a 10 (of course, it’s a 10).